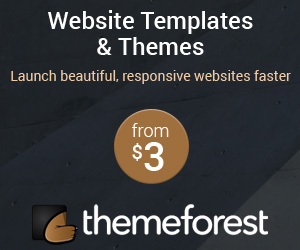 Business owners spend enough time on selecting a theme, template and the design elements of a WordPress website while buying a WordPress plan. However, they do not put the same amount of effort into selecting a hosting provider for the simple reason that they consider it completely unnecessary. With this attitude, businesses can face problems later on, and most likely complain about support issues, server downtime etc. Which is why it is necessary to have a checklist of sorts to help you choose a good WordPress web hosting provider. 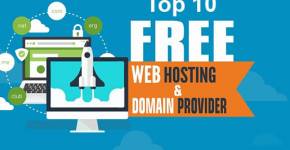 This list may not be all exhaustive but it will steer you in the right direction to arrive at the doorstep of a proficient hosting provider. 1. Is The Storage Space Scalable? Getting an idea about the storage space provided for your WordPress web hosting beforehand is necessary. For instance, if your WordPress web hosting provider promises you 4GB disk space and before running out of the same, then you experience problems like insufficient disk space etc. This is a result of poor research on your part. Ideally, every consumer must know how much of space is given by the hosting provider. In addition to this, consumers must also know what kind of a plan of action the provider as if they face issues with respect to instant scaling. There are cases wherein hosting providers oversell packages by saying that they are selling unlimited storage. As a decision maker, you must be aware that resources, especially hardware, is always limited. So, the concept of ‘unlimited’ is a little too far fetched. While you come down to a buying decision to ensure that you have an idea about the actual scalability of your WordPress web hosting package. 2. What is The Kind of a Bandwidth Provided in The Plans? Your WordPress web hosting package should guarantee a bandwidth which is more or less proportionate to the storage space provided for e.g. If your WordPress hosting package is giving you 20GB of disk space and only 2GB bandwidth, you will experience a slow loading speed of web pages. This is because the capacity or bandwidth of data does not go hand in hand with the space that is guaranteed. Hence, choose a provider that provides unmetered disk space with 2TB of bandwidth. This will answer most of the problems pertaining to fluctuating monthly visitors and slow page loading. 3. Does The Server Provide a Consistent Uptime? A lot of web hosting providers claim that their servers never go down. This is highly impossible given that hosting providers need to maintain servers and check for discrepancies time and again. However, there are ways and means by which hosting providers maintain business continuity especially with a wide network of data centers. So, going ahead, ensure that your hosting provider assures you of a healthy server uptime. As per industry standards, anything above 98% is considered as a great uptime. 4. Does The Hosting allow you to add Domains and Subdomains? If you want to serve two different markets, you may want two separate websites catering to the needs of specific customers. In such cases, creating two separate websites having two separate IP addresses is beneficial. Hence, check whether your WordPress web hosting plan allows you to host multiple domains. Most web hosting providers provide users with an admin panel that allows one to control the hosting and assist them with adding domains as well as subdomains. 5. What Does The Hosting Provider Have in Mind for website’s Back Up? Get a complete idea about your hosting provider’s back up plan before buying a plan. This will put you at ease right from the word go, even if there is a cyber attack or malware problem. Get an idea from your web hosting provider whether he deploys security backup add-ons like CodeGuard, which take the backup of your website and place it in a secure cloud environment. Such practices are ideal from the security point of view. 6. How Safe is The Hosting Environment? This will pretty much cover all the aspects that go into choosing a good WordPress web hosting for your website. Understand the kind of security plan your provider advocates. Most websites are prone to attacks like Distributed Denial of Service (DDoS), teardrop etc. In addition to this, security plugins such as SiteLock are a perfect fit for WordPress web hosting. This is because it protects as well as prevents such attacks and also helps mitigate backdoor hacking. 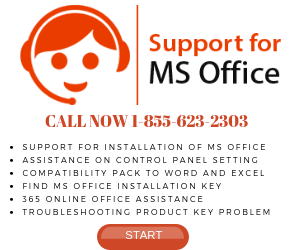 We would like to add important things like database support, email accounts and features, tech support, free domain etc. You may not require from the word go but ask your WordPress web hosting provider for the same, since the necessity to use them may crop up later. 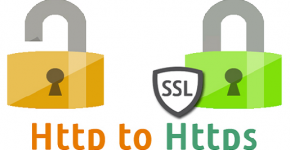 Why Should You Switch Your Website From HTTP to HTTPS?